A cordial and pleasant environment where, from the first moment, the guest feels at home. 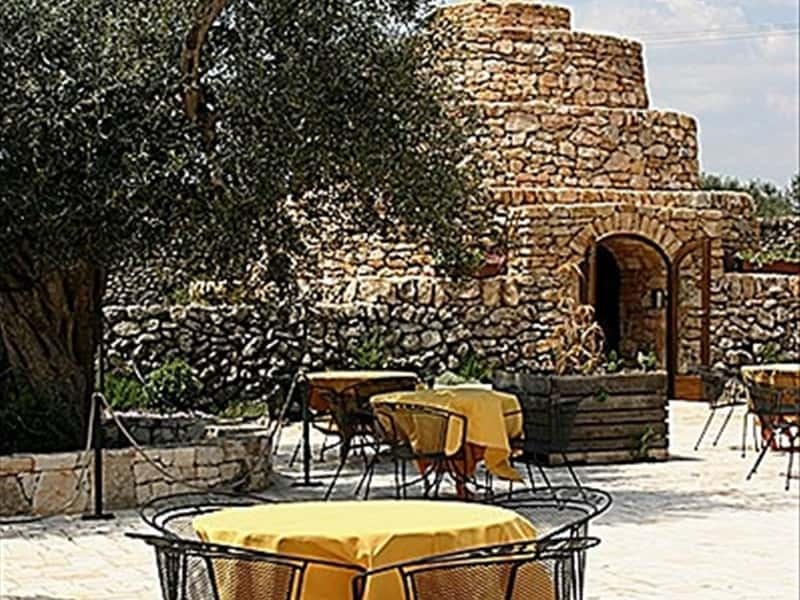 It's the ideal place to enjoy, in great tranquillity, the colours and flavours of Apulia: friendship, fancy, holiday and an ancient and refined cuisine. Staying at Masseria Bosco means to immerse himself in the embrace between the odorous green of the olive-grouves and the boundless blue of the Adriatic sea. It means to regain a secret harmony, to rediscover a peacefulness made up of simple and deep things. 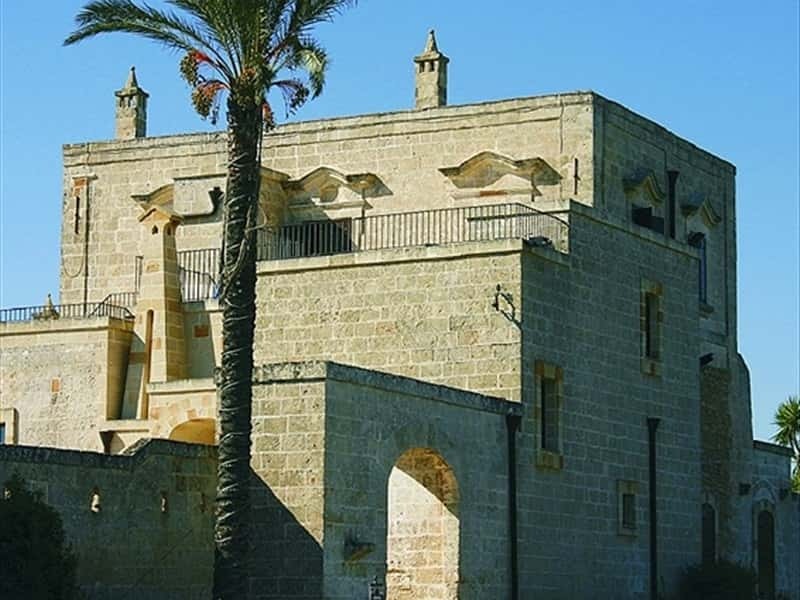 Originally used as a vet hospital, the premises of Masseria Bosco retain all the main features of that time, still visible today. It's possible to see such features, togheter with architectural ones, when entering the first of the two rooms, formerly used as a barn. This room has typical features such as the fissures on the ceiling (used to fill the barn) and three passages (used by farmers to count the animals while milking). These ones have been closed to allow construction of present day kitchen. Also build in a large area which was a piece of stable, in the made stone you can see significant details of all the constriuction. The sea hedgehog' fossil and some shells prove that sea was on land. 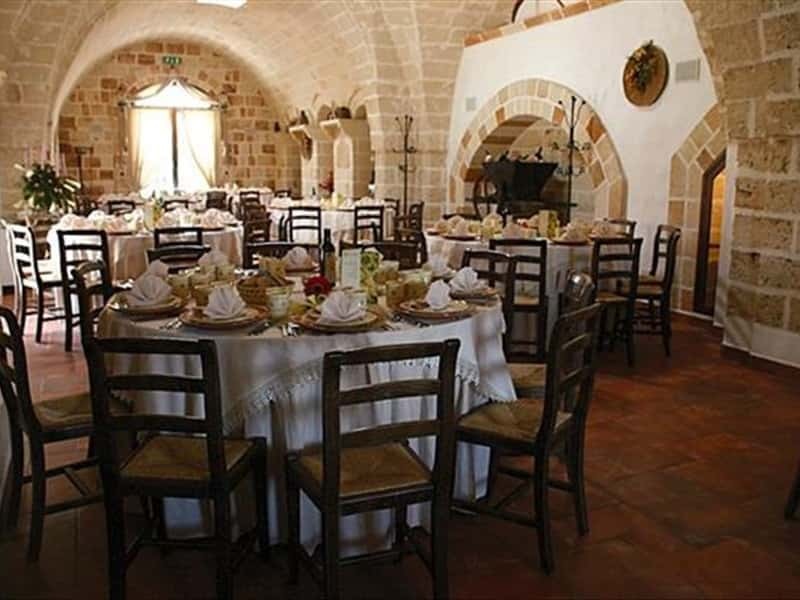 The second room, a time stable, have a particularry hole in the ground, deep about 4 metres, a time used as hiding place of supplies, above all grain, product by Masseria. This place was used also like runaway exit, still visitable now. In that room you can see, aswhell, an old oven used to heat the room and after like oven kitchen, now this oven is a privè-dining room just for 10 people. Today these rooms are really confortables dining rooms, also are considered like little museum where you can see equipments and objects made in 1400. A large part of those are situated into a well in one of the premises. The "corner bar" with his evocative floor, composed by a hold hand maded pavement has a long bar composed by olive tree's wood. The menu reflects the building's tradition and the tipical seasonal food habit of this land, and proposes, with client's self choice, all tipical food enriched by good condiments. You can samples legumes's dish, like beans, like mashed broad beans with genuine greens like mussels. Only hand-maded pasta with genuine grain and you can sample it with traditional sauce. A tipical dish is the baked grain an you can eat it like first plate or like contour or, with a local sweet wine, like dessert. Local meat smells of embers by olive trees who are in our farm. Principal's kitchen ingredient is our "olio extravergine" produced by a biological agriculture. 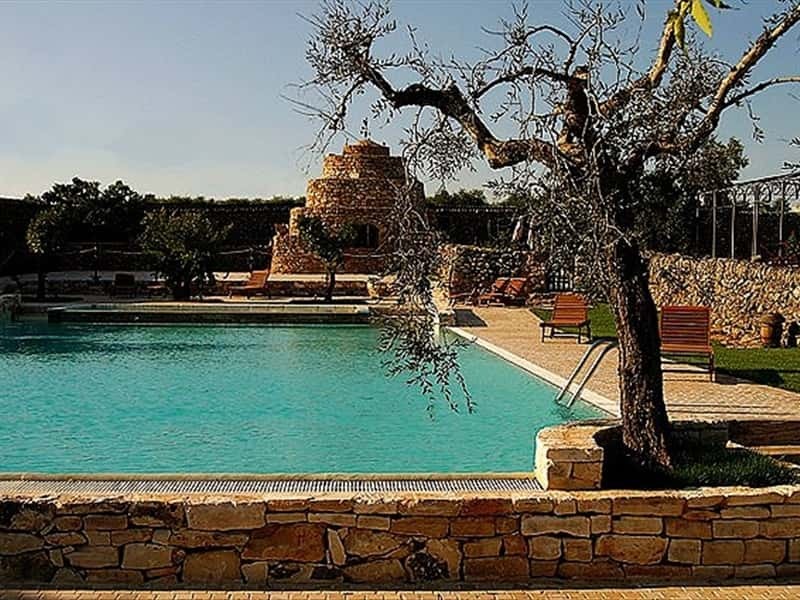 The Masseria Bosco offers its guests many services (pool, sea, transfer) in order to make their stay a truly unforgettable experience. This structure web page has been visited 36,516 times.